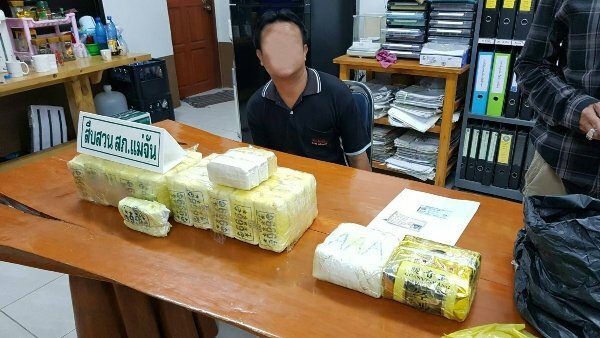 A man was arrested while allegedly trying to smuggle 108,000 methamphetamine pills and two kilos of crystal meth from the Myanmar border in Chiang Rai's Mae Chan district on Tuesday evening. Suchart Dokkiang, 47, a resident of Mae Chan district, was stopped at a checkpoint on a village road in Ban Sala, Tambon Mae Chan at 7pm Tuesday. Police searched his pickup truck and found a bag with the drugs stashed inside. They said they set up their checkpoint after being tipped off that a smuggler was using the back road to avoid the main Phaholyothin route. I recognise that face .